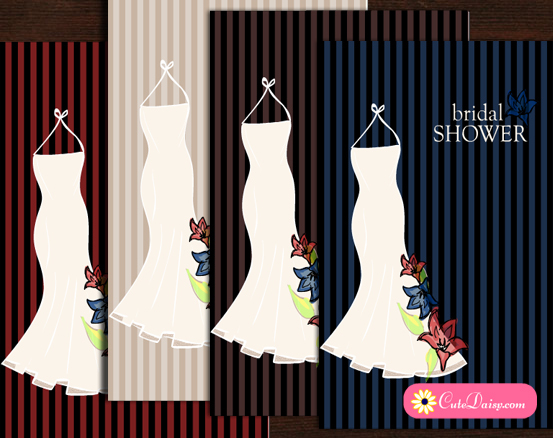 I have also made these adorable Free Printable Floral Gown Bridal Shower Invitations Templates today in 4 colors. 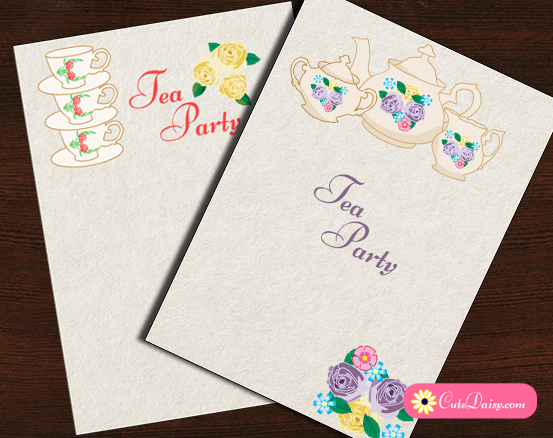 These are in PDF and PNG format and PDF files have editable text fields in which you can add your own personalised and customised text before printing these beautiful templates. You can also edit the PNG files in any image editor such as MS paint and add text like the name of the bride, location of the bridal shower, time, date, RSVP and other info. 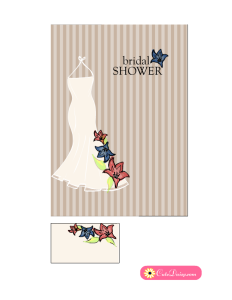 I have also included matching address label with each invitation. 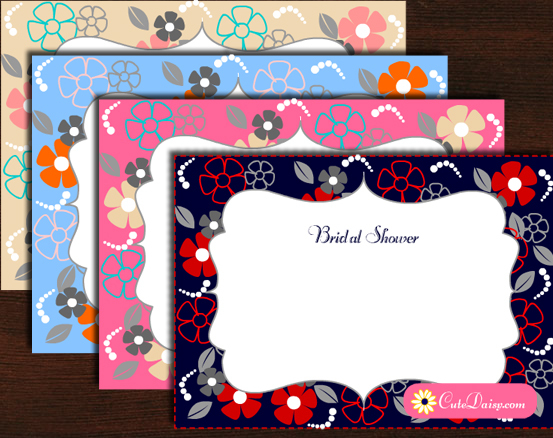 These bridal shower invitations are perfect for a floral or spring themed bridal shower party and I have given the options of 4 different colors so you can select the one that looks most beautiful to you. 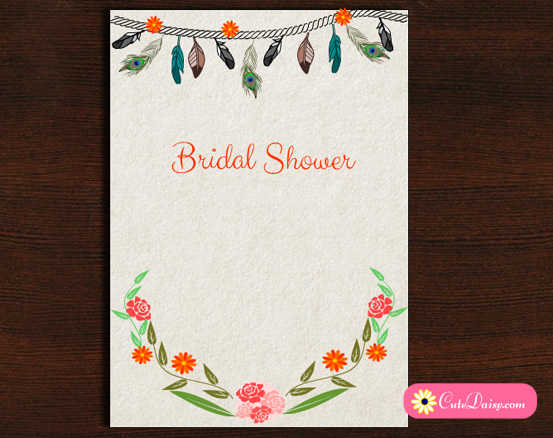 Click here to download this adorable template in off white color with an image of a beautiful bridal gown full of flowers. 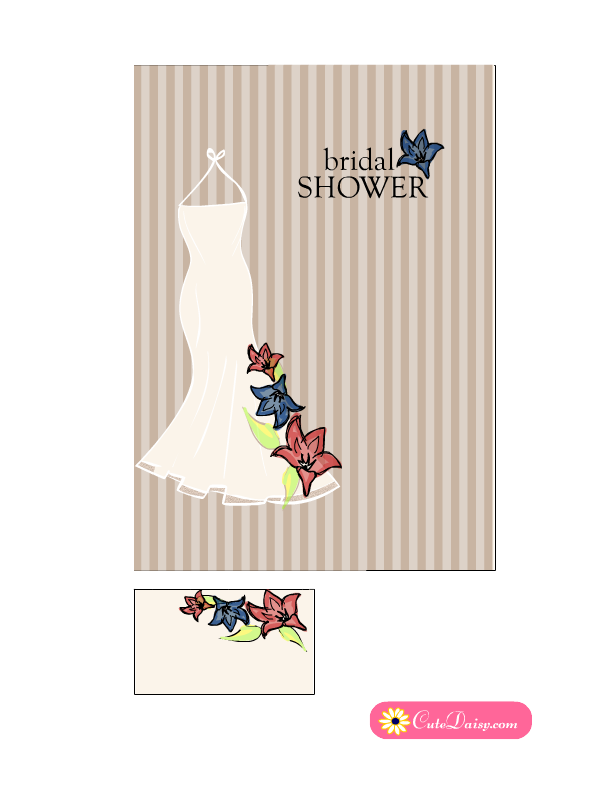 I have added many editable text fields in it so you can easily personalise this invitation before printing. Click here to download this adorable template in black and blue color. If you want to get the PNG file then click on the small image of the invitation and right click and save the png file. If you want to fill in the text fields in PDF file, you can do that as well. All the text will be written on it in white color. 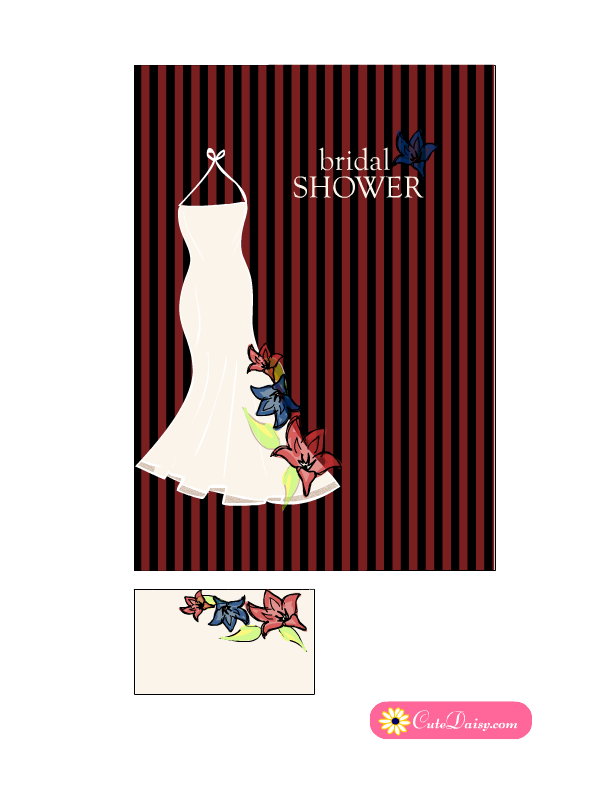 Click here to download this beautiful editable template in black and brown color with image of a beautiful bridal floral gown. Click here to download this PDF file of beautiful bridal shower invitation in black and maroon color. Please do not forget to like my post and leave a comment below.